The Great Barrier Reef has undergone significant changes in the past two years. It has encountered two drastic bleaching events. Coral bleaching is caused by change in temperatures of water. The coral get stressed and expel the symbiotic algae living its tissue. This action slowly starves the coral causing it to turn white and die. The heat due to climate change has negatively impacted, not only the corals, but the other creatures residing in the reef. This change in reef structure causes disturbance in fish communities as well. 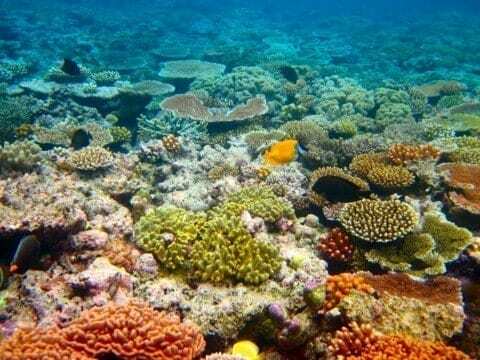 Coral Bleaching and The Great Barrier Reef by Raine is licensed under a Creative Commons Attribution-ShareAlike 4.0 International License. Science Fiction vs. FantasyWhy are our Reefs Dying? Ive heard a lot about our coral reefs being damaged, but I never knew why. Do you think that there is any way to reverse the damage done or minimize further damage? What sort of implications will this have on the ecosystem of the ocean in addition to tourist attractions and the economy? I would love to hear more from you.